Time is precious - why waste it in a waiting room? Check in from home before your appointment. TouchHealth is currently only available for patients whom have been invited by their doctors. So contact your doctors now and ask them to join — It will only take them a few minutes, and it is free. Why fill out new forms each time you go to the doctor? Keep your forms online and reuse them! Completing you check-in forms can be the most annoying part of visiting the doctor. 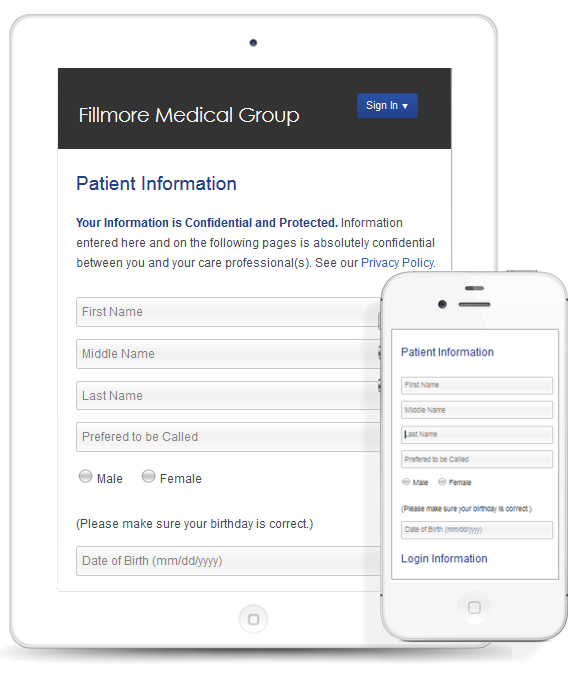 Patients have long been asking for a single online form that you can submit to multiple doctors. Now you have it. With TouchHealth, you will only need to complete the parts of the form that are specific your new doctor. The rest will be filled in for you. 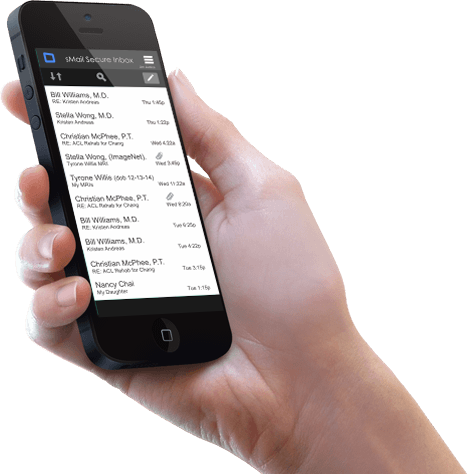 Securely Email Your Doctor’s Office! Your doctor’s office may have been told that they cannot email you because of privacy rules. That is mostly true, however, your health professionals can safely receive and respond to you on TouchHealth.com. That’s because TouchHealth security meets standards required to protect your personal patient data. Best of all, TouchHealth is simple-to-use and it is FREE.